After cricket, football is now beginning to attract many youngsters, and they dream of becoming footballers one day. As their aspiration soars, a platform on the line of the Liverpool FC Academy is being created with the aim to build a foundation for aspiring footballers in India. Neel Shah is among the many who dreamt of making a name in the game of football. Now, as CEO, DSK Shivajians, Neel is working to fulfill similar dreams of thousands of youngsters across the country. “Football has been my life for as long as I can remember. I grew up playing youth football (soccer) in Southern California and knew at a pretty early age that I would always be associated with the beautiful game in some way whether,” California-born Neel told thestatesman.com in an exclusive interview. 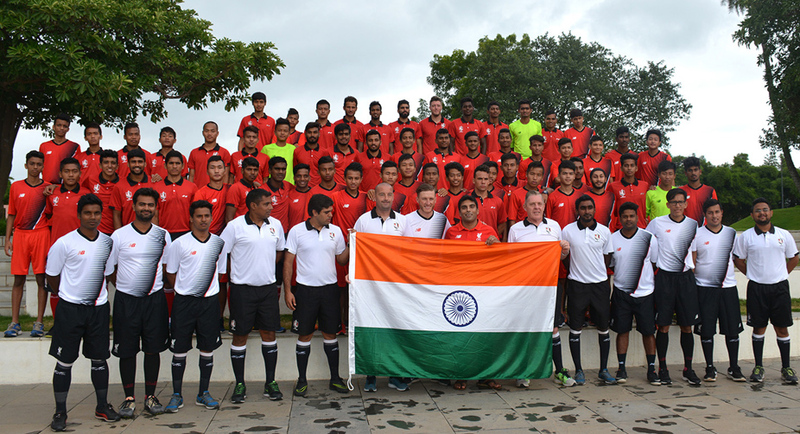 Despite having a nationwide network of the game, the Indian national football hasn’t seen much of success so far. They currently rank 137th in the FIFA world rankings. Neel introduced 4Ps in the Indian football, citing all four elements are required for its growth. Founded in 1987, Pune-based I-League club DSK Shivajians FC has given India two national footballers till date, thanks to the Premier League club Liverpool. In 2014, DSK Shivajians entered into a long-term partnership with Liverpool FC with an objective to build an effective youth academy in the country. “We are now almost three years into the partnership and I can honestly say that the results have been better than initially expected,” Neel said, while talking about the tie-up. “Thanks to the might of the Liverpool FC brand, their quality coaches and commitment to this project, we have been able to attract some of India’s finest young talent and nurture their growth in a professional environment tailored after the LFC Academy in Kirkby, UK,” he added. The 36-year-old said the academy has so far produced eight players, who have represented teams at various levels. Earlier in March, Liverpool FC invited two Shivajians’ players Jerry Mawihmingthanga and Lallianzuala Chhangte for training with their U-18 team. Post that stint, both the players have been a part of the Indian national squad and have been included in Shivajians’ senior squad for the upcoming I-League season. “This stint also had an indirect impact on the other players in the Academy as it created something for all of them to aspire for and look to earn through hard work, focus and determination. In the future, we will look to send other deserving players to Kirkby for training and exposure purposes as long as our technical staff feel that they have earned the opportunity through their hard work at our Academy in Pune,” he said. Having worked with the US’ celebrated league MLS for seven years, Neel counts that experience as invaluable and wants to bring that level of football here in India. “During that period, I got a first-hand experience of how much time, energy and commitment goes into every aspect of the football business and what it takes to become relevant in a country where football is far from being the number one sport,” Neel said, emphasising on the fact that games like basketball and baseball rule the US sports culture. Neel did his MBA in Sports Management and worked with the Major League Soccer (MLS) in New York from 2002 to 2009, where he handled fan development and grassroots marketing of the World’s biggest soccer league. “I moved to India in 2009 and worked as a consultant for the Indian football industry with Libero Sports for the past six years before accepting the role as CEO of DSK Shivajians FC earlier this year,” he said. “MLS is now a success because there were a number of individuals with a unified vision all working together and learning from one another’s successes and failures. My objective in India is to be a catalyst to drive the formation of a unified vision for the development of the sport and build a model in DSK Shivajians FC that other investors will look to emulate in the future,” Neel concluded. The tenth season of the I-League (2016-2017) will start on January 7.